Police brutality remains front-page news around the country, with the latest outrage coming from Chicago, where video was released last week of the Laquan McDonald shooting. The McDonald story has far-reaching dimensions. In a roundabout way, it touches on the political prosecution of former Alabama Governor Don Siegelman. It has sparked a scathing rebuke of police officials from a Harvard-law graduate, writing at the nation's No. 1 law blog. And it prompts this troubling question: Is police dishonesty more common--and perhaps an even bigger threat to society--than police brutality? My wife, Carol, and I have been asking ourselves that question since deputies in Greene County, Missouri, invaded our apartment on September 9--with an assault rifle and roughly a half dozen handguns drawn--for an "eviction" that was unlawfully scheduled and had been automatically stayed when we filed a Notice of Appeal the day before. Carol and I both were handcuffed and led outside--even though there was no indication either of us had engaged in criminal activity--and a deputy eventually slammed Carol to the ground and broke her left arm so severely that it required trauma surgery for repair. Carol now is in intensive physical therapy for at least eight weeks, and caregivers have said she is expected, at best, to regain 75 percent usage in her arm. How could this happen? Carol had been given permission to enter our apartment and retrieve personal belongings. She already had placed several items in our car and was about to make a second trip--primarily to retrieve our cat's litter box--when three officers surrounded her just off the front porch, slammed her to the ground and yanked violently on her arms, badly bruising both of them and shattering the humerus (just above the elbow) in the left one. Greene County Sheriff Jim Arnott was present for the eviction--why, we have no idea--and his immediate instinct was to lie. Standing roughly five feet away as Carol was being brutalized, Arnott pointed at her and said, "She assaulted a police officer." I saw the same scene from about 15 feet away and almost guffawed when I heard Arnott's words; Carol did not initiate contact with anyone. But she was handcuffed behind her back--with one arm broken--placed into the back of a police cruiser, taken to the county jail and told she was going to be hit with a felony charge and likely $100,000 bond. Never mind that Carol had a bone that was fractured in four to five places and bruises all over, while there was no sign of injury on any officer. We've already shown that Arnott's actions were wildly contrary to Missouri law, and we will address that issue further in upcoming posts: Did the Missouri sheriff and perhaps other members of his staff commit federal crimes in causing Carol's false arrest and imprisonment? She was only released from custody after X-rays at Cox North Medical Center revealed the severe break in her arm. Maybe that gave Arnott some clue that Carol was the assaultee, not the assaulter. Carol and I have seen police dishonesty in an up-close-and-personal way, but we are far from alone. 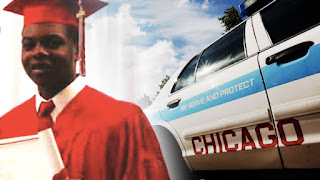 Consider the Laquan McDonald case. The video that shows Officer Jason Van Dyke shooting McDonald 16 times never would have come to light if a free-lance journalist named Brandon Smith had not filed a lawsuit under the Freedom of Information Act (FOIA), seeking its release. 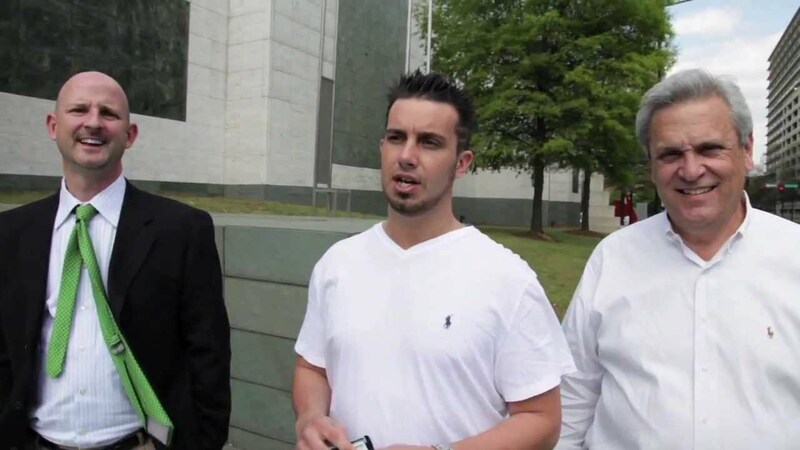 Ironically, the McDonald family did not support Smith's efforts to bring the video to light. As those who have followed the case of former Alabama Governor Don Siegelman know, the government (sometimes with the help of corrupt judges) can stonewall FOIA requests for years. Somehow, the Smith case must have landed before an ethical judge in Chicago, and roughly a year after the McDonald shooting, we now have a sense of what actually happened on that night in October 2014. We certainly were not going to get that from Chicago police sources. Officers remained in their car and followed McDonald as he walked south on Pulaski Road. More officers arrived and police tried to box the teen in with two squad cars, Camden said. McDonald punctured one of the squad car's front passenger-side tires and damaged the front windshield, police and Camden said. Officers got out of their car and began approaching McDonald, again telling him to drop the knife, Camden said. The boy allegedly lunged at police, and one of the officers opened fire. The restaurant's manager has insisted for months that his surveillance system was tampered with by the very police officers he was trying to help. He says 86 minutes of video from around the time of the shooting was erased. His statements Friday support what lawyers for the McDonald family first told WGN news back on Nov. 18. "A police detective and a technician went into the Burger King...and the Burger King employees, including the manager, looked at the video, and found about 83 minutes of video that were missing, which included the time the shooting occurred, " attorney Michael Robbins said. State prosecutors and police officials adamantly deny that anyone tampered with video. But what kind of credibility do law-enforcement officials have these days? Not much, would be our reply. Is the police dishonesty Carol and I have witnessed--along with that apparently surrounding the Laquan McDonald case--isolated? It doesn't look that way. A recent report at usuncut.com examines four instances where officers lied about being shot. I might have had a hard time believing that at one time. But not anymore. Elie Mystal, who has a J.D. degree from Harvard and writes at Above the Law, provides a disturbing perspective on police dishonesty in the aftermath of the Laquan McDonald shooting. The title of Mystal's article is "When Cops Do Their Jobs Black People Die." I don’t think most cops think their job is to shoot unarmed black people to death. But I do think most cops think their job is to protect other cops — including the ones who shoot unarmed black people to death. Black people die not just because there are a few racist cops, but because there are many, many more cops who refuse to do anything about the violent racists in their ranks. Police culture creates a world where a black teenager can be shot 16 times for jaywalking, and his killer can walk around free for a year while his superiors try to hide the evidence of the crime. This happens all the time. This has been happening all the time. This isn’t news to me. Cops lie all the time, I’ve known that because I’ve had to know that as I try to get through this world without being shot to death. I didn’t need the damn snuff film to “prove” that racist cops in Chicago kill black people and the police department covers it up. The careful reader might ask, "Schnauzer, why have you spent so much time lately on Jessica Medeiros Garrison and her attack piece at marieclaire.com? I realize this must be a topic that inflames your passions, but isn't it time to move on to something else?" That's a fair question, and here (I think) is a reasonable answer: Substantial evidence suggests Garrison's defamation lawsuit never has been about my reporting on her extramarital affair with Alabama Attorney General Luther Strange; that story is true, and Garrison, of all people, has to know that. From a legal standpoint, Garrison has done nothing at trial, before a jury (as required by law), to show that my reporting was false and defamatory. On top of that, substantial evidence suggests she committed perjury during a hearing that led to a $3.5-million in her favor, and it's possible that a transcript of the proceedings would show that AG Strange also lied under oath. That suggests Garrison's lawsuit, and her recent rant at women's fashion site Marie Claire, involve ulterior motives. I submit that's the reason Garrison's recent statements are filled with numerous falsehoods; it's pretty easy to keep your story straight when you are telling the truth--but Garrison isn't. One of her bogus claims involves weighty, constitutional matters, and that's why I have pursued the story in considerable detail. Garrison portrays herself as a victim of defamation--even though my reporting never has been found to be false or defamatory at trial or in any adversarial proceeding--and she claims to be protecting other women from journalists. Given Garrison's political background, that is laughable. In fact, Garrison is attacking journalism itself--and the First Amendment that is supposed to ensure a free press. That's why this story matters so much. First, Garrison isn't just ranting about my reporting at Legal Schnauzer. She reportedly is trying to get Google to hide my posts in searches--even though they've never been found to be false or defamatory at trial. That is a blatant attempt at censorship. Google would be wise to steer very clear of that path. Garrison also reportedly might speak at a National Lawyers Association (NLA) panel discussion on defamation law in the digital age. The public record, however, shows that, by law, she has not been defamed--at least not at Legal Schnauzer. Statements she might make at such a discussion likely would result in Garrison and the NLA defaming me. I sent an e-mail to the NLA, asking for information about the event, seeking a transcript (when it's available), and warning of the possible repercussions about possible false statements about me and my reporting on their platform. I have not received a reply. We've established that the first of my two communications with Jessica Medeiros Garrison came on July 12, when I sent her an e-mail requesting an interview about her relationship with Attorney General Luther Strange. I gave Garrison more than four days to respond, and I never heard from her, so my first report on her extramarital affair with Strange was published on July 17. From that date until August 13, I published six posts about the affair, and I never heard from Garrison or her attorney, Bill Baxley. My second e-mail to Jessica Garrison was sent at 1:50 p.m. on August 14 and included questions about two issues that have little, if anything, to do with Luther Strange. One issue was her purchase of a house that was appraised for almost $440,000 in the Crestline section of Mountain Brook. The other involved her business relationship with a man named Erik Davis Harp, who was indicted in 2009 as one of two kingpins in an illegal gambling ring based in Panama. According to published reports, leaders of the ring had ties to the Gambino and Genovese crime families. Regular readers probably remember my first e-mail to Garrison, requesting an interview about her relationship with Luther Strange. But readers might have forgotten that the first e-mail generated no response from Garrison or her lawyer--not even when I wrote six posts about the Luther Strange affair in the aftermath, Readers might also have forgotten that I sent a second e-mail, one month and two days later, and that prompted an almost instant response from Garrison and Baxley. (1) A document from your custody case, dated 5/23/12, states that you had a new address of 119 Main Street, Mountain Brook. Another public document shows that the property was sold at "public outcry" on two different dates, 6/12/12 and 7/20/12. A. How could you have this new address in May when the property wasn't sold to you at public auction until June and July? B. Was there really a public auction, where the property was available for open bids, or was the house somehow cherry picked for you? If so, who assisted in this matter, and why? (2) Public records indicate you've had a business relationship with a man named Erik Davis Harp, formerly of Tuscaloosa. Published reports show that Mr. Harp was indicted for helping to run an illegal offshore gambling operation, based in Panama. 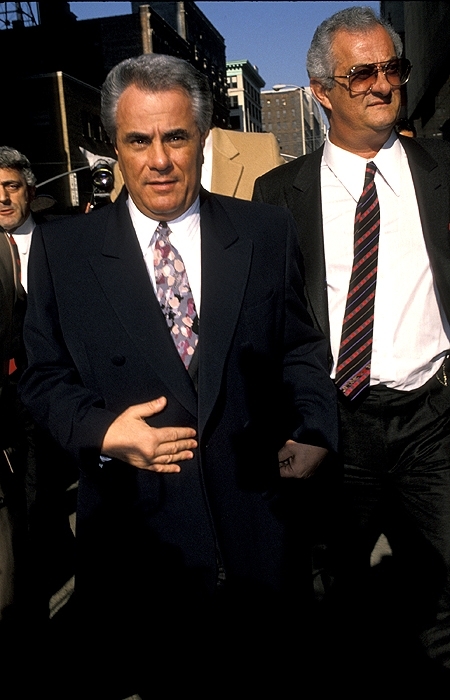 Published reports further state that the operation had connections to the Gambino and Genovese crime families. A. What was the nature of your business relationship with Mr. Harp? Is that relationship ongoing? B. Given your public statements against gambling, and considering Luther Strange's strong opposition to gambling, how could you be connected to a gambling kingpin with ties to major criminal factions? I ask that you respond to this request by 5 p.m. on Friday, Aug. 16. * Garrison's stunning hypocrisy on gambling. So what's the real reason Jessica Garrison filed a defamation lawsuit against me for reporting about her affair with Luther Strange that has never been proven to be false? Garrison's own actions suggest the lawsuit, and her recent Marie Claire rant, have nothing to do with the Strange affair. The real reason behind her jihad, I would suggest, lie somewhere in that second e-mail published above. Translation: I likely wasn't sued for anything I reported; I was sued because of questions I was asking. An attack on journalism? That's exactly what Jessica Medeiros Garrison is involved in. The University of Alabama is one of several campuses around the country where students and faculty are protesting over race-based issues, in solidarity with students who recently forced leadership changes at the University of Missouri. In fact, a student-faculty group called "We Are Done" staged a protest yesterday morning near Foster Auditorium on the UA campus. The group has issued a list of 10 demands that it claims will foster an environment of diversity and tolerance at UA. We suspect the protests at several campuses are largely symbolic. But that should not be the case at the University of Alabama, where we have shown racism exists in very high places--and it's even directed at the powerhouse and supposedly beloved Crimson Tide football team. How high does racist rhetoric go at UA? As high as the private box of Paul Bryant Jr., a trustee emeritus and perhaps the Crimson Tide's most powerful booster. "Can you imagine this many people pay us to watch n-----s beat up on each other?" Language doesn't get much more vile and racist than that. When you consider that it was directed at football players, including those wearing crimson jerseys . . . well, it looks like "We Are Done" has a lot of work to do in Tuscaloosa. Ironically, it was a threatened boycott from football players that apparently led Missouri's president and chancellor to announce their resignations after a series of race-based incidents on campus. Alabama, ranked No. 2 in the country, has a much better football team than Missouri. But that apparently has not earned much respect for Crimson Tide players among certain high-level fans and administrators. [Yesterday] morning, students with the We Are Done organization gathered in protest on campus at the Malone Hood Plaza and then marched to the steps of Gorgas library, where several students spoke at length and the protestors chanted for change. The demonstration was held to promote changes on the issues of race, gender, sexuality, religion and socioeconomic status. We Are Done is also calling for the administration and the Board of Trustees to acknowledge the existence of the Machine and make strides to bring it above ground. Some of the main goals for the group is to remove names of white supremacists and Confederate generals from University property, or at least erect markers denoting the racist history of the buildings’ namesakes. The group of concerned students, none representing specific organizations, collectively wrote a letter titled “We only have one demand” and placed it in University president Stuart Bell's secretary's possession that morning before classes started. The secretary confirmed that she received the letter. “We want the administration to actually acknowledge that racism exists on campus," said Maiya Gaspard, a sophomore majoring in general health studies and one of the students standing in front of Rose. "We want for people to call it what it is, so we can start change." The UA students stood for two reasons. One was as concerned students for the University of Missouri, where the University president stepped down on Monday after controversies in which minority students demanded action from school leaders over what student activists called a climate of racism for the predominately white campus. . . .
“It's [Mizzou] creating a bridge,” said Kaylyn Lee, a senior majoring in political and communications studies. The second reason dealt with students' grievances about administration involvement and acknowledgement on the UA campus about diversity and racism. The letter addressed the need for a diversity officer, a cultural diversity space and an updated version of the University's 2008 strategic diversity plan. It should not be hard for university administrators to acknowledge that racism exists on campus. It easily can be found in the luxury box of perhaps the university's best known official. If it can be found there--directed toward Crimson Tide football players--God only knows where else it is present. A Montgomery, Alabama, woman this week pleaded guilty to attempting to reveal confidential grand-jury information. LaToya Ware is black, and the charges against her stem from proceedings related to a federal-state drug investigation, where most of the targets appear to be people of color. All of which raises this question: LaToya Ware was charged with one count of violating the Alabama Grand Jury Secrecy Act, so why haven't similar charges been brought against white, conservative political/legal figures who apparently revealed grand-jury information related to the investigation in Lee County of House Speaker Mike Hubbard (R-Auburn)? Court documents in the Hubbard case indicate Hubbard, former Governor Bob Riley; his son, Birmingham attorney Rob Riley; former Hubbard aide Josh Blades, and former Deputy Attorney General Sonny Reagan either leaked or received leaked grand-jury information. 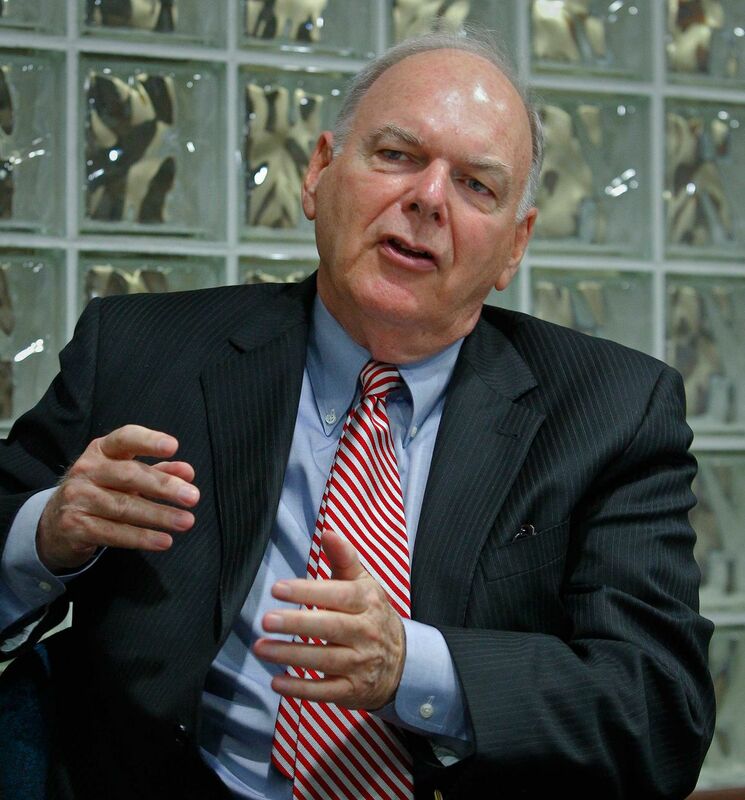 According to a report from Bill Britt of Alabama Political Reporter, evidence also suggests that Birmingham attorney Bill Baxley has been involved in schemes to obstruct the Hubbard grand jury. Information about apparent efforts to corrupt the grand-jury process in Lee County has been known at least since September 2014. So why have charges not been brought against any of the possible participants? Are such charges more likely to be brought if you are a black female hearing a drug-trafficking case--such as LaToya Ware--than if you are a white male, with legal and political ties to ruling Alabama conservatives--such as the individuals in the Hubbard case? 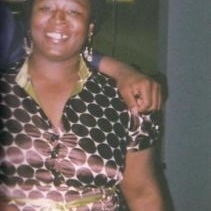 Attorney General Luther Strange was quick to bring charges against Ms. Ware. But we've seen no sign that he intends to bring charges against Bob or Rob Riley, Josh Blades, Bill Baxley, or anyone else who--based on e-mail evidence in the Hubbard case--apparently released or sought secret grand-jury information. 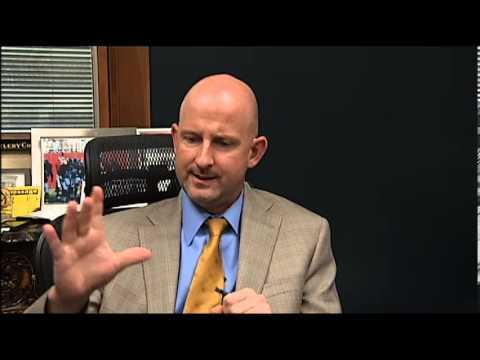 Is Strange sitting on his hands because he has been political allies of the Rileys, with all of them having strong ties to the powerful Bradley Arant law firm in Birmingham--and all with apparent addictions to Indian gambling money, which has led them to attack non-Indian gaming facilities in Alabama, such as VictoryLand in Macon County and Center Stage Alabama in Houston County, near Dothan? Is Strange giving Baxley a pass because the veteran Birmingham lawyer represents former Strange campaign aide Jessica Medeiros Garrison in a defamation case against this blog and me? Garrison has crowed about receiving a $3.5-million default judgment in the case, even though my reporting about her extramarital affair with Strange never has been proven false or defamatory at trial, before any jury. Here is a disturbing question: Is Luther Strange practicing a smelly form of politics while serving as Alabama's chief prosecutor and law-enforcement official? I have no idea what kind of legal representation LaToya Ware had, but a first-year law-school student should be able to argue that Strange's prosecution violated equal-protection provisions of the U.S. Constitution. Alabama Circuit Judge William Shashy already has found that Strange's crusade against VictoryLand violated equal-protection principles. Here is an uber disturbing question: Should the Mike Hubbard prosecution be dismissed because Luther Strange clearly is playing politics, by going after LaToya Ware while keeping hands off on Bob Riley, Rob Riley, Bill Baxley, etc.? All evidence we've seen strongly points to Mike Hubbard being guilty. But as evidence mounts that Luther Strange is a political game player, Hubbard's claim that the AG targeted him for political reasons--to remove a prime opponent in a future race for governor--gains traction. 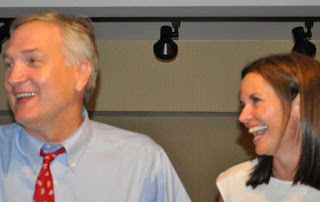 Those of us who opposed the political prosecution of former Democratic Governor Don Siegelman should also stand up for Mike Hubbard's right not to be targeted for political reasons. The more Luther Strange plays softball with those who apparently violated grand-jury secrecy laws, the more it appears the Mike Hubbard case should be dropped. 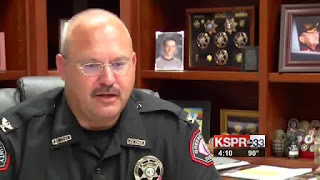 The Missouri sheriff who caused my wife, Carol, to be falsely arrested--and to have a deputy shatter her arm, requiring trauma surgery--now is claiming the Greene County Jail he operates is overcrowded. Sheriff Jim Arnott was standing about five feet from Carol on September 9 when three deputies surrounded her, brutally slammed her to the ground, and yanked so violently on her arm that it snapped the humerus and pulverized portions of the bone to the point that they were useless in the repair effort. Despite all evidence to the contrary, Arnott pointed at Carol and said, "She assaulted a police officer." How is that for law-enforcement hypocrisy? On one hand, Arnott falsely causes a citizen to be arrested--and a deputy told Carol the sheriff planned to hit her with a felony charge and $100,000 bond--leading to her being handcuffed, placed in the back of a squad car, and driven to the Greene County Jail. On the other hand, Arnott claims the jail is overcrowded, and he has adopted a policy of turning away municipal inmates that traditionally have been housed in the county jail. The report says local police agencies, between April 3 — when Arnott changed the policy — and Oct. 21, "came face-to-face with 2,812 people wanted on 2,763 warrants" and were forced to release them. It says those nearly 3,000 crimes have gone "essentially unpunished" and have included 701 stealing warrants, 56 assault warrants and 53 DWI warrants. The report includes excerpts from police reports in which alleged offenders taunted police using "the jail situation as evidence that there was nothing that could be done." Does Sheriff Jim Arnott care if public safety is compromised because of the policies at his supposedly overcrowded jail? Doesn't look like it. Can Arnott concoct a bogus arrest of my wife in order to provide cover for the deputies who brutalized her and broke her arm? Sure does look like it? 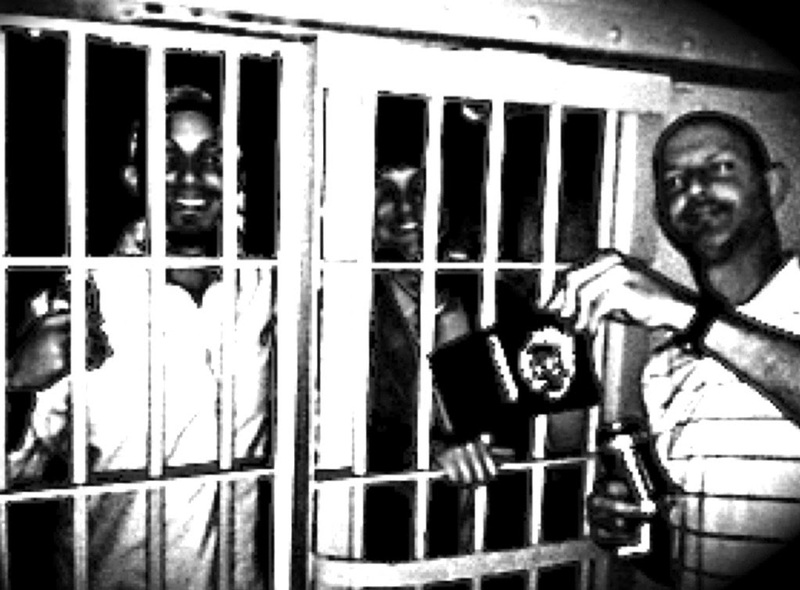 Is Jim Arnott willing to ignore jail crowding when it suits his unethical (and likely unlawful) purposes? Yep. Arnott apparently wasn't just trying to protect rogue deputies. He also was trying to protect Trent Cowherd, landlord and owner of Cowherd Construction, which seemingly was hell-bent on conducting an unlawful eviction against us. Cowherd had given us a notice to vacate that violated the terms of the lease. (See lease at the end of this post.) Specifically, Cowherd sought to have us re-qualify because the cosignor (my mother) wanted off our lease, even though there is no language in the lease that required us to re-qualify. Cowherd's own representative at trial admitted there was no such language in the lease. We challenged the eviction as wrongful in trial court and had timely filed a Notice of Appeal, which put an automatic stay on the eviction. Cowherd, his law firm, the sheriff's department, and my own brother (attorney David Shuler, representing our mother) all chose to ignore the stay. On top of that, Cowherd and its law firm (Lowther Johnson) scheduled the eviction inside the 10-day window, where no such action can take place under Missouri law. Does Jim Arnott take directions from Trent Cowherd and his law firm, regardless of what the law says? Does David Shuler do the same thing? Sure looks that way from here. As for Carol, once X-rays at the nearby Cox North Medical Center showed the large bone in her upper arm had been shattered, jail personnel allowed paramedics to transfer her to Cox South, where she eventually underwent seven hours of trauma surgery, performed by Dr. Brian Buck. Carol now is facing at least eight weeks of physical therapy, with the "best case" outcome probably being a return of 75 percent usage in her arm. The sheriff's department--with evidence showing that Carol was assaulted and not the other way around--apparently has decided that filing a bogus "assaulting an officer" charge would not be a good idea. But if Carol's arm had not been broken, it's likely she would have been facing a bogus charge and would still be in jail. With $100,000 bond, I would have had to pay $10,000 to get her released, and I'm not sure I would have been able to do that. Thanks to Jim Arnott, Carol would have been in jail for more than nine weeks, with no end in sight. All for a "crime" she did not commit--in fact, for a crime where she was the victim, not the perpetrator. How do we know that is the case? There are two forms of felony assault in Missouri. Here is the description of Assault of a Law Enforcement Officer in the first degree under Section 565.008.2 of the Revised Missouri Statutes. I doubt even Jim Arnott could claim with a straight face that Carol tried to kill an officer or cause serious physical injury, especially since it seems clear no deputy on site that day left with a scratch on him/her. * acting with criminal negligence, creates a substantial risk of death or serious physical injury to the victim. Carol had no deadly weapon or dangerous instrument in her possession, she didn't cause serious physical injury to anyone, she doesn't drink or use illegal drugs and she was not driving, she didn't have a deadly weapon with which to threaten anyone, and she created no risk of death of serious physical injury to anyone. The only one who was seriously injured was her. 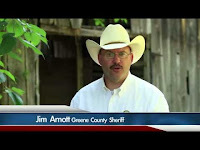 And the whole incident, when taken in context with the overcrowded Greene County Jail, shows that Sheriff Jim Arnott is both a liar and a monumental hypocrite. 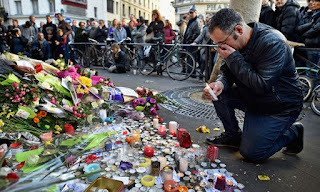 Americans have been tolerating terrorists on our soil for years; we give robes and call them "Your Honor"
If you watched news coverage last night about terrorist attacks in Paris, you probably had the impression that the United States will not tolerate terrorists on its shores. In fact, you might have come away with the impression that America is on the verge of engaging in a holy war against terrorism. After all, 27 governors, all but one Republicans, have said they will not allow Syrian refugees to enter their states for fear that one refugee, or more, will turn out to be a terrorist. But what is the truth? America has tolerated terrorists on our soil for years. In fact, we not only tolerate them, we elevate them--we let them wear robes, we give them immunity from almost all lawsuits, we give them lifetime appointments (in some instances), and we call them "Your Honor." Yes, we are talking about American judges as terrorists, and regular readers of this blog know that we have presented mountains of evidence to show that some judges (one would be too many) use their exalted positions to terrorize certain parties that come before them. We've also shown that individuals in certain professions--lawyers, law-enforcement officials, corporate executives--all too often serve as enablers and accomplices for corrupt judges. Terrorist networks in the United States might not always engage in violence, but there is no universally accepted definition of terrorism. Violence often is considered part of the equation, but not always--use of intimidation and threats can be enough. Some use the term "illegal use of force," which might not always entail violence. We have used the term "financial terrorism" (see here and here) to describe terror tactics associated with U.S. judges and lawyers. 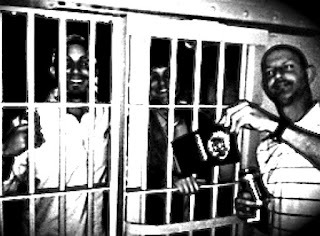 Roger Shuler apparently is the only journalist in U.S. history to be incarcerated because of a preliminary injunction that violates 200 years of First-Amendment law--Beginning in January 2013, I wrote a series of posts about Birmingham lawyer Rob Riley (son of former GOP governor Bob Riley) and a lobbyist named Liberty Duke. This apparently upset Alabama's ruling conservative elites, so Riley and Duke filed a defamation lawsuit against me and Carol (even though Carol had nothing to do with the posts, or the blog in general, at the time.) Riley and Duke asked Circuit Judge Claud Neilson to violate more than 200 years of First Amendment by issuing a temporary restraining order and permanent injunction. In short, Riley and Duke sought a "remedy" that is not available under the law, but Neilson granted their request--essentially finding that my reporting was false and defamatory, even though there had been no discovery, no trial, no jury. To this day, there never has been a finding at trial that my reporting on Rob Riley and Liberty Duke was false or defamatory. But I still was arrested and spent five months in the Shelby County Jail because Riley and Duke (and probably others) wanted me punished in a way that the law does not allow. I planned to challenge Neilson's ruling on several fronts--first, by showing that Carol and I were unlawfully served during a traffic stop that violated the U.S. Fourth Amendment, and second, by showing that the remedies Riley and Duke sought were blatantly unconstitutional. I filed a Motion to Quash Service and was waiting for a ruling on that when Deputy Chris Blevins entered our garage on October 23, 2013--without showing a warrant, stating he had a warrant, or stating his purpose for being there--and beat me up (knocking me to a concrete floor three times) and spraying mace in my face before hauling me to jail. Was this violent? Without a doubt. Was it designed to intimidate and threaten for political reasons? Absolutely. Was it terrorism on American soil? No doubt in my mind. Missouri deputies shatter Carol Shuler's arm as she was trying to retrieve our cat's litter box during an unlawful eviction--Cowherd Construction, of Springfield, Missouri, was seeking to evict us from an apartment late this summer (in violation of the terms in our lease). An eviction date was set for September 9, which is inside the 10-day window where, under Missouri law, a landlord cannot carry out (the legal term is "levy") an eviction. That was not the only problem owner Trent Cowherd faced--we also had filed a Notice of Appeal (clearly shown in court records), and that put an automatic stay on the eviction. 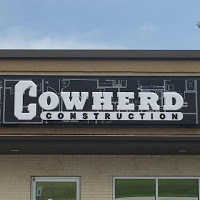 With the help of the Lowther Johnson and Shuler law firms (headed by my own brother, David), Cowherd moved forward anyway. Deputies burst through our door, pointing at least one assault rifle at me (along with multiple handguns) and immediately handcuffing Carol and me, even though we had been accused of no crime. In the chaos that followed, Carol was given permission to enter the apartment to retrieve items that we could put in our car. She was in the process of doing that--specifically, trying to get our cat's litter box--when at least three deputies surrounded her. One or more slammed her to the ground so hard that I still think she suffered a concussion. As Sheriff Jim Arnott stood watch a few feet away, a deputy yanked and twisted on Carol's arm so violently that her left arm was shattered--requiring trauma surgery and at least eight weeks of physical therapy--and her right arm was mostly purple from bruising. Was this violent? Without a doubt. Was it designed to intimidate and threaten for political reasons? Absolutely. Was it terrorism on American soil? 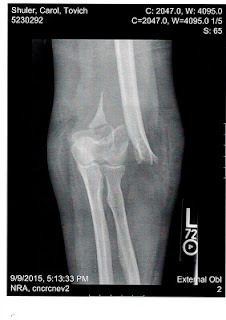 We invite you to take a look at the X-ray of Carol's arm, before repair via trauma surgery, and decide for yourselves. 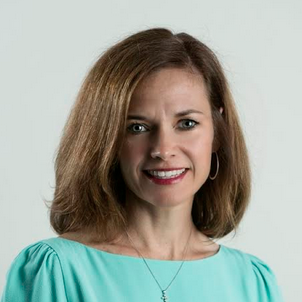 An organization that claims to be dedicated to improving the legal profession and the nation's justice system reportedly has invited Alabama Republican operative Jessica Medeiros Garrison to participate in a panel discussion about defamation law in the Internet age. The National Lawyers Association (NLA), however, might want to think twice about allowing Garrison to speak on the subject. If Garrison plans to discuss her defamation lawsuit against me and Legal Schnauzer, she would be wise to think real hard about whether or not that's a good idea. As more and more bloggers fill the web with "journalism" that displays wildly varying degrees of ethical standards, accountability and verification, it seems likely the subject is going to be more widely discussed. Garrison said the National Lawyers Association will soon be conducting a panel on the matter, and she has been asked to join the discussion. Does it make sense to include Garrison on such a panel? Not one bit. We've already presented evidence that suggests Garrison knows virtually nothing about First Amendment law--and cares not one iota about the rule of law. Those two characteristics alone would make her a poor choice to participate in a panel about communications in the digital environment. But issues with Garrison go way beyond that. In an as-told-to article at women's fashion site marieclaire.com, Garrison attacked my reporting about her extramarital affair with Alabama Attorney General Luther Strange. She even crowed that she had "won" a $3.5-million default judgment against me. * Garrison said there was a trial in the case, but there was nothing even approaching a trial; in fact, there was no adversarial proceeding of any kind. * Longstanding First Amendment law holds that defamation cases must go to trial, that a judge cannot act as a one-man censor on an issue so central to our democracy as a free press. Did Garrison tell her audience this? Nope. * First Amendment law also holds that defamation cases must be decided by juries. Again, the thinking is that these issues are too important to leave in the hands of a judge who could act as a solo censorship board. No jury ever was present for Garrison's case, and she did not even ask for a jury trial in her initial filings; she only did so after I asked for a jury trial in my answer. * Garrison only received a default judgment because, the record shows, I neither received nor was sent notification of the default-judgment hearing. That means, by law, the judgment is void, and I've seen no written document in the record that counters that. * Overpowering evidence suggests that Garrison lied under oath in the hearing--and that, if proven, would amount to a crime called perjury. It also is possible that Strange testified falsely under oath, meaning, in essence, that Garrison's $3.5-million judgment is built on a mountain of fraud. The National Lawyers Association (NLA) is a nonprofit, nonpartisan, 501(c)(6) membership organization devoted to advancing the legal issues that concern our members. Without regard for politics or prevailing fashion, we dedicate our work to the belief that there is a national imperative to improve the legal profession and the justice system of the nation. There's never been a more important time to be a member of the NLA. That sounds good, but if the NLA thinks Jessica Medeiros Garrison is going to help further that noble cause, it is sadly mistaken. Garrison touts herself as a victim of defamation. But there is nothing in any court file to support that claim. There is no finding at trial, or any form of adversarial proceeding, that my reporting was false or defamatory. There is no jury finding, as required by law, that my reporting was false or defamatory. Does the NLA really want a non-victim, one who has shown little to zero knowledge of First Amendment law, to pontificate on defamation in the digital age? If so, the NLA could be headed down a treacherous slope. Why is it surprising that an Alabama football fan would use the "N word" to describe Tide players? A number of readers have expressed doubt or surprise about our report this week that a political figure and University of Alabama football fan used the "N word" to describe college football players--including those wearing Crimson Tide jerseys. The report came in the wake of news that a threatened boycott by University of Missouri football players, over the administration's tepid response to several race-based incidents on campus, helped cause the school's president and chancellor to announce their resignation. The point of our post was to show that the University of Missouri hardly is the only school--not even the only one in the Southeastern Conference--where racism and college athletics collide. We also asked the question: Will Alabama players show the kind of social conscience, and guts, that caused University of Missouri players to rise up against a mostly white administration that seemed willing to tolerate all sorts of ugliness targeting black students? Part of Pitt's plan has been to build a ministry that embraces diversity and reaches out to young people of all colors and ethnicities. While viewing the Alabama game from Bryant's box, Pitt was stunned and sickened to see Smallwood look out over the massive crowd and state: "Can you imagine this many people pay us to watch n-----s beat up on each other?" Why do some folks not want to believe this happened? One reason, I suspect, is that many Crimson Tide fans have a strong emotional attachment to their team, and they want to believe that fans view the team's black players with affection and respect. Some readers indicated they know J.T. Smallwood and found it hard to believe he would utter such a vile and racist statement. I have no doubt that the incident happened. For one, Matt Pitt related it to me directly, with plenty of details and no hesitation about recounting the words he heard--and the circumstances under which he heard them. On top of that, there is plenty of circumstantial evidence to suggest that Smallwood was part of an effort to use Pitt's immensely popular The Basement ministry to endorse a slate of white, conservative political candidates--and to place The Basement's money with Bryant Bank. Pitt was strongly opposed to both requests. football career at the University of Alabama. Was Smallwood imitating an officer? Was he hinting at what was to come for Pitt if he did not cave into demands that the minister endorse certain political candidates and put his money with Bryant Bank? In an article titled "The Color of Money Runs White At The Crimson Tide's Bank," Adam Rust of banktalk.org shows that Bryant Bank rarely makes mortgage loans to certain minority groups. . . .
Do many Alabama fans respect their black football players? I feel certain the answer is yes. But does the Crimson Tide fan base include quite a few Neanderthals, including some who have lots of money and hang out in luxury boxes? The answer definitely is yes, and no one who has spent time around athletics in the Deep South--and I've covered sports in Dixie on a full- or part-time basis for more than 30 years--should be surprised by that. How much do some Alabama players sacrifice to help the Crimson Tide win games? Consider Tyrone Prothro, a receiver for the Tide from 2003-05. Prothro suffered a gruesome leg injury while trying to catch a pass in the end zone against the Florida Gators in 2005. Ten years later, video of the play remains gut-wrenching to watch. Prothro had three surgeries to repair the leg, but never was able to resume his football career. He has gone on to have 10 surgeries on the leg, but the injury still bothers him. 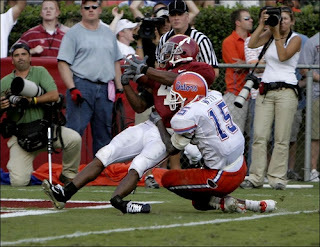 Tyrone Prothro essentially gave up a leg for Alabama Crimson Tide football. Would he receive a mortgage loan from Paul Bryant Jr.'s bank? It doesn't sound like it. Would J.T. Smallwood use the "N word" to describe Prothro? Sure sounds like it. are "behind bars" at the Birmingham Civil Rights Institute. In attacking our reporting about her extramarital affair with Alabama Attorney General Luther Strange, does Republican operative Jessica Medeiros Garrison reveal signs that she might have what psychologists call a "thought disorder"? The answer is yes, and while I'm not qualified to pinpoint such a disorder, even a non-professional can see signs of illogical thinking, derailment, and racing thoughts--plus a serious dose of narcissism--in Garrison's article at marieclaire.com, plus an analysis at Lagniappe Mobile. We've already shown that Garrison has a tendency to use what might be called "high-anxiety" language. But what makes her thinking disjointed, hard to follow, and . . . well, wacky? Now, Garrison seems to be upset that I was NOT looking at her. Which is it: Am I eyeballing her on a regular basis as a stalker or am I ignoring her? Either one seems to upset Garrison. There is no consistency, or logic, to that kind of thinking. Garrison considers me callous, it seems, for not expressing great remorse that my "lies" had harmed her personal and professional life. It apparently never occurred to Garrison that I don't consider my reporting to be "lies," that I consider it to be based on facts, and that I had no reason to show remorse for practicing journalism as allowed under the First Amendment. It also must have never occurred to Garrison that at no point in the proceedings did she come close to meeting her burden of showing that my reporting was false and defamatory at trial, before a jury. Thanks largely to her machinations, there was no trial and there was no jury. OK, we've established that, in Garrison's mind, Legal Schnauzer is a "ridiculous little blog." But in almost the same breath, she recounts a story of meeting an executive from Apple Inc. in Cupertino, California, who said he had looked her up online prior to their lunch meeting. Garrison says her "heart stopped beating" out of fear that the exec had read my reporting on her affair with Luther Strange. Hmmm, sounds like my blog isn't so "little" and "ridiculous" after all. Speaking with Garrison last week, she said the reason she decided to talk about her experience is to help others understand the effects lone wolf bloggers like Shuler can have on others and the rather low threshold of proof they appear to have before publishing something as potentially damaging as allegations of an affair. “The effect of one stroke of the keyboard is amazing,” she said. Now, all of a sudden, I have "amazing" powers--ones that resonate across oceans and time zones--with "one stroke of the keyboard." Again, Garrison seems to have decided that Legal Schnauzer isn't so "little" and "ridiculous" anymore. How are we to know Garrison's real thoughts on certain issues? Beats me. Her thoughts seem to change from one paragraph to another. I've worked since I was 16, was the President of the Student Government Association in college, and got a job out of law school at a firm where I worked for nine years before starting on Luther's campaign in 2009. Now, it felt like all that hard work was under threat. It's as if Garrison is unique in having worked hard, from an early age, in an effort to make a life for herself. Newsflash for Jessica: Lots of people have done that. I started making money by hauling hay (one of the hardest, hottest, dirtiest, sweatiest jobs on earth) when I was 15. I started mowing yards before that. When I was in college I worked during the summer at a factory that made rubber V-belts (used in cars, lawn mowers, refrigerators, all sorts of machinery). It was not uncommon for a worker to lose a limb, or more, in that factory. While I was there, one guy had his arm dragged into a machine and sheared off at the elbow. Before the rubber-factory job, I worked at a drive-in theater, cleaning up the parking lot from the previous night's showings. You'd be amazed at what you find in a drive-in theater parking lot the morning after shows. At age 16, I didn't even know what some of those objects were. My wife, Carol, started working when she was 16. Later, she worked eight hours a day at Alabama Power while carrying a full academic load at UAB--and she made straight A's for grades. Carol and I have busted our buns for decades to try to have a life. But almost all of it has been stolen from us by Jessica Garrison's colleagues in the legal profession. I have little doubt that Jessica knows for sure who cheated us out of our jobs, who cheated us out of our house via a wrongful foreclosure, etc. Has Jessica spoken up about that, as anyone with the slightest hint of a moral compass would do--as Jessica is required to do by the rules of her profession? Of course not. Having your personal and professional life threatened is only a concern when it affects Jessica. What kind of "thought disorder" does that point to? I'm not sure, but I would suggest it probably points to something more serious than that--it's a sign of "character disorder" also known as a "personality disorder." Regardless of the proper scientific term, Jessica Garrison reveals herself to be extraordinarily shallow. No wonder she found a home in the conservative movement. A prominent booster of the University of Alabama football program used the "N word" to describe Crimson Tide and opposing players--and he made the comment while watching a game from the private box of trustee Paul Bryant Jr. The University of Missouri, it seems, is not the only Southeastern Conference school where racism and football collide. Is Missouri the only school where football players have enough social conscience to stand up to racism that mostly white administrators tend to tolerate? The answer to that question might be revealed in the coming days. For now, the power of college athletes is on full display after yesterday's announcements that the president and chancellor of the University of Missouri would resign after football players threatened a strike over the administration's tepid response to several incidents of racism on campus. Missouri, however, hardly is the only Southeastern Conference school where racism among moneyed boosters and administrators (mostly white) hovers over the activities of athletes who, in big-money sports such as football, increasingly tend to be black. The political figure was Jefferson County tax collector J.T. Smallwood, and he made the comment to youth minister Matt Pitt and several of his associates, who had been invited to watch a Crimson Tide game from Bryant's luxury box. Pitt is best known for creating The Basement, which is billed as the "fastest growing youth movement" in America. We reported on this incident in a post dated April 22, 2015. This is the first time we've revealed the speaker as J.T. Smallwood. Pitt's troubles with law enforcement began when he refused to do the bidding of conservative political/corporate forces who wanted to use his ministry (The Basement) for their own purposes, sources tell Legal Schnauzer. Those forces allegedly include former Governor Bob Riley and University of Alabama trustee Paul Bryant Jr. Our sources say Pitt never would have been prosecuted if he had allowed his ministry to be used for the political and financial interests of others. They also say Pitt has made enemies from his desire to build a ministry that reaches across racial boundaries. . . .
Smallwood reportedly played a major role in awarding the badge to Pitt. The name Smallwood has been familiar around Jefferson County, Alabama, for years. J.T. is the son of Tennant Smallwood, who served as a circuit judge for 44 years and died in 2011. An article about J.T. Smallwood's background describes him as a "political advisor for state and local government and businesses" and a consultant "on numerous state and local campaigns." Does that include serving as a sort of political "handyman" for Paul Bryant Jr.? Does that include spreading racist messages--which serve as the most vile kinds of insults to UA's own players--while situated in Bryant's private box? The answers appear to be yes. University of Missouri football players have shown college athletes have the power to make a difference on social issues--in a hurry--when they have the guts to stand up in a united way. Do University of Alabama players have those kinds of guts? We will see. What explains the odd timing of Gov. 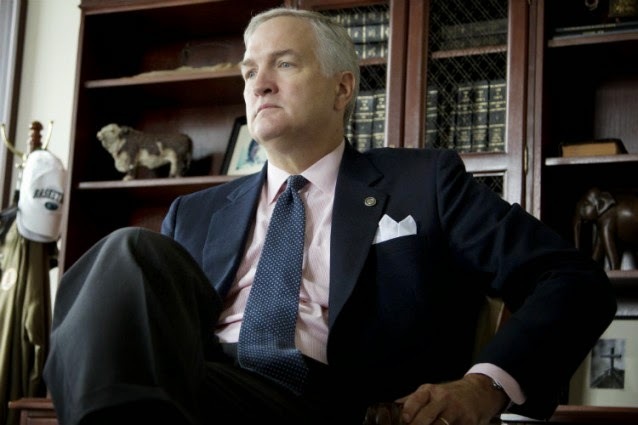 Robert Bentley's decision to neuter Luther Strange on gambling cases? Why did Alabama Governor Robert Bentley last week remove authority to enforce gambling laws from Attorney General Luther Strange? That is the question of political intrigue that now envelops "The Heart of Dixie," which has been ranked as the sixth most corrupt state in country--and, with Bentley's help, is making a strong push for No. 1. Experience with Alabama politics tells us that a straightforward answer to our question probably is not forthcoming. So what's the real reason for Bentley's action last week, what is--to borrow a phrase from the late Paul Harvey--"the rest of the story"? * Did Bentley's action cause consternation among those tied to the political machine of former governor Bob Riley? The answer to that one clearly is yes. And that might be the most interesting development of all. Tyson said he and Riley encountered what he termed "stiff resistance" by local law enforcement in a number of counties when they moved to enforce the laws against electronic bingo. "It was stiff, very stiff," said Tyson. "Places like VictoryLand in Macon (County) and GreeneTrack in Greene (County) and a casino in Lowndes County, local law enforcement wasn't generally enforcing the laws against gambling in those places then. And I've been gone a few years now but I suspect it will be a problematic thing to get them to enforce the law now." News flash for John Tyson: Maybe local law-enforcement officials presented stiff resistance because they knew electronic bingo was legal in their jurisdictions? Tyson conveniently fails to mention that voters in Macon County, for example, approved a constitutional amendment that allows bingo at VictoryLand--and an Alabama circuit judge recently found that included electronic versions of the game. In a fashion that is standard for "Riley Robots," Tyson proves to be a flagrant liar--saying something is unlawful, when it actually has been found to be lawful. Former state Senator Bryan Taylor was a key adviser to Riley in the days leading up to the formation of the task force and during the bingo wars of 2009-10. He said Riley had no choice but to form a task force and appoint a commander once he believed that then-attorney general Troy King was not enforcing the laws against gambling and after local sheriffs and DAs in some counties refused to act. When King challenged what Riley had done in forming the task force, the state Supreme Court ruled that Riley had the legal power to act to enforce any law he believed that was not "faithfully" being enforced. Since signing his latest executive order placing local sheriffs and district attorneys as the primary enforcers of gambling laws some have speculated that Bentley has tied Strange's hands and his authority to enforce gambling laws. That's a move pro gaming forces would hope is true since Strange has been strongly opposed to gambling. But Taylor said Bentley has not tied the hands of the AG nor could he. And he said anyone using the task force decision by the high court to argue the governor can do such is just wrong. "What the case does not say, no matter how vehemently the gambling interests will argue it, is that the governor may cut off or diminish the attorney general's jurisdiction to enforce the law," said Taylor. "The case simply upholds a proper balance of power where both constitutional officials — the attorney general and the governor — are accountable under the law. Under this case, the court quite clearly recognizes that both officials may assert a position in court." Is Taylor a solid source of legal analysis on gambling in Alabama? Not exactly. We have shown that Taylor's knowledge of gambling-related issues tends to spring leaks. We've also shown that Taylor, like former "First Son" Rob Riley (and Jessica Garrison, for that matter), tends to resort to dubious defamation lawsuits against those who report uncomfortable truths. 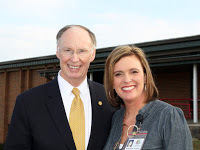 So what drove Bentley to take the bite out of Luther Strange on gaming issues? Here is a key point to consider: A May 2010 Alabama Supreme Court decision, which appeared to be tailored for Bob Riley, said the governor had "supreme executive powers" that usurped those of the attorney general. That goofy ruling appeared to trample all sorts of legal precedent, but it made this much clear: If such supreme authority rested with Gov. Bob Riley, it also rests with Gov. Robert Bentley. That means Bentley could have neutered Strange at any time over the past five years. So why is he doing it now? As usual, something ugly is going on among Alabama's ruling conservative elites. It might get even uglier very soon.